It’s just about time to close the books on 2011 and move on to the promise of a brand new year. But we wanted to take a few final glances back at the year that was, starting with a round-up of our top stories of 2011, based on page views. It was a busy year on the product front, and our 20 most read stories reflect that, with many of the entries here representing our efforts to help you make sense of the latest Macs, iPhones, and other products unveiled by Apple. And this list doesn’t even include our blow-by-blow coverage of Apple product announcements, which we track using a different metric. Suffice it to say, our readers want to read everything they can about the latest products out of Cupertino. One other note about this list: It contains a few stories that came out in 2010 (and in some instances, even earlier.) But their place in our Top 20 is entirely determined by how much traffic they got in 2011. You had questions about Apple’s replacement for MobileMe, and we provided the answers. 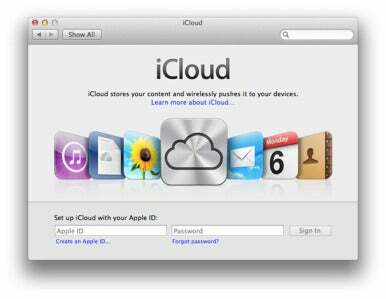 First posted in June when Apple previewed its cloud-based services, the article was updated throughout the year, as more information became available following iCloud’s October launch. Macworld.com readers wanted the scoop on Apple’s Web-based iCloud offering. Apple’s follow-up to its original iPad was faster, smaller, and lighter than its predecessor. And Macworld readers wanted to know just how well the iPad 2 performed. You could argue that this wasn’t the most significant update to Apple’s portable lineup in 2011—that’d probably be the Eddy Award-winning MacBook Air. Still, this was the model that introduced the Thunderbolt connection technology to Apple’s laptops, and people were interested to see how that addition along with processor improvements boosted performance. Senior editor Dan Frakes compiled a massive guide on installing Mac OS X Lion, and this section on creating a bootable Lion installer proved most popular—not surprising, given that OS X 10.7 was the first version of Mac OS X that didn’t ship as a bootable disk. If ever you asked yourself “Which stylus should I use when I want to sketch or draw with my iPad?” we hope that this in-depth guide to a dozen such accessories provided some insight. Step back in time to 2006, a simpler era when Mac users just wanted to block access to their unattended computer. And five years later, they’re still interested in this comprehensive guide from Rob Griffiths on the many methods for locking down your Mac. Another oldie but a goodie: In 2010, Kirk McElhearn walked everyone through the finer points of getting their music on to a Mac from a PC. Maybe this story’s ongoing popularity is a sign that Windows users continue to make the jump to the Mac platform. It’s another visit from the Ghost of Mac OS X Hints Past, as this 2006 article explains how to make Unix files and folders show up in Finder. Back in the present day, would-be iPhone owners began considering their carrier options, as AT&T’s exclusive hold on the iPhone came to an end in February. And that was before the iPhone 4S came along to the fall and added Sprint to the carrier mix, requiring us to update our look at iPhone service plans. Lion was the first major overhaul to Mac OS X since 2009’s Snow Leopard—and really, one of the most significant Mac OS X updates in years. It stands to reason, then, that Mac users would be especially interested in getting their machines ready before taking the plunge. When a new version of Apple’s tablet comes out, suddenly our weekly look at third-party cases seems especially timely. As with the iPhone 4, the iPad 2 gave users a choice among wireless carriers for anyone who opted for the 3G-capable version of Apple’s tablet. And Macworld readers were eager to see how the iPad plans from AT&T and Verizon measured up to one another. AT&T Navigator was the top-rated app in our look at iPhone GPS offerings. 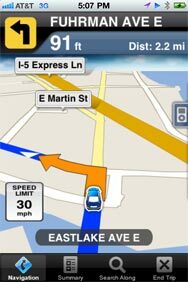 A lot of iOS apps offer turn-by-turn directions and GPS-based navigation. Senior contributor Glenn Fleishman set out to find which one does the best job, in an update to a round-up we first conducted the prior year. A major update to Apple’s mobile operating system deserves a thorough review, and that’s preciously what senior associate editor Dan Moren gave us in his feature-by-feature look at iOS 5. Start reading the review now, as a matter of fact, and you might be finished by the time we’re ringing in 2013. Before we can review an iOS update, though, we have to wait for Apple to release it. And that’s what we did with iOS 5—though we did field your questions on the new version based on Apple’s June preview, updating the article after iOS 5’s early October release. The Verizon iPhone arrived in February, ending AT&T’s hold on the iPhone in the U.S. It may have been nearly identical to its AT&T counterpart, save for its compatibility with Verizon’s CDMA-based network, but people sure wanted to get the scoop on this new iPhone when it arrived in February. This year’s Worldwide Developers Conference keynote really was action-packed: Not only did it include previews for iOS 5 and iCloud as we’ve already mentioned, it gave Apple another chance to show off Mac OS X Lion, before the updated operating system arrived in July. iOS 4.3 introduced a Personal Hotspot feature that allowed the iPhone 4 to share its Internet connection with other devices. The feature actually debuted on the Verizon iPhone 4 first—this article was a follow-up to our look at Personal Hotspot on the Verizon iPhone 4. When Lion is only available through the Mac App Store, and the Mac App Store only runs on Mac OS X 10.6, users still running Leopard had a bit of a challenge if they wanted to upgrade to 10.7. Fortunately, Dan Frakes was on the case as part of his upgrade guide. We close out our top 20 list with yet another upgrade guide—this one for getting iOS 5 on your iPhone, iPod touch, or iPad.